We had a great opportunity, recently, to make a custom AquaMat® for Jake Owen’s new Malibu Wakesetter 24 MXZ. He wanted his latest album cover turned into an inlay to match his ridiculously cool new black and green Malibu Wakesetter. 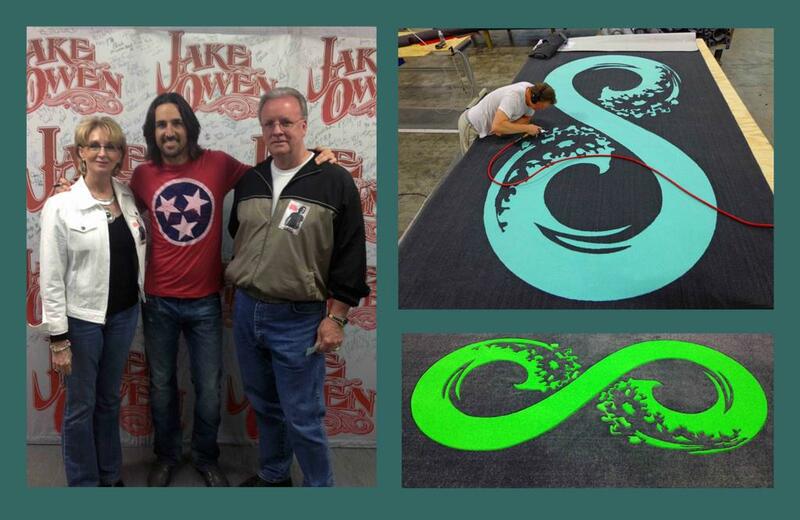 Jake was a true delight to work with and ended up so pleased with what we made him that he ordered a giant, 8’ x 20’ inlaid AquaMat® to go in front of his tour bus! This one in Caribbean-water blue. Jake Owen is the epitome of cool. So cool that after some of our employee/fans delivered his new AquaMat®, Jake got them all tickets to his concert with backstage passes and the works!!! Is that nice or what??? Our Oregon crew was so jealous that we all matched Jake’s new AquaMat® boat carpet (the green one)! © 2019 Corinthian Marine. All Rights Reserved. You can add up to 3 free AquaMat® styles!